When it comes to fueling your fit body, there’s a lot of information to consider: good fats versus bad fats. Complex versus simple carbohydrates. Light meat versus dark meat. You probably don't think of the latter when choosing which type of fish to eat. But just like land animal protein, there is science behind the flesh color of seafood. Here, seven nutrient-packed fish that span the chromatic spectrum. 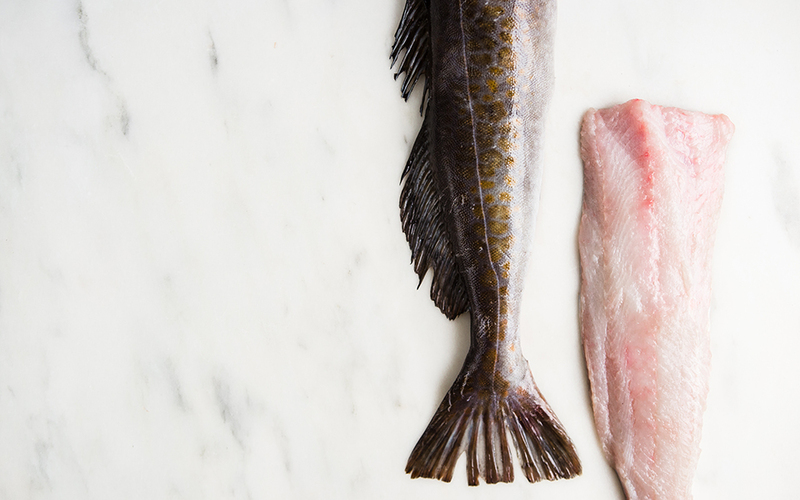 Extremely mild in taste, the "blank slate" of the fish world can be either wild-caught or farmed. The color and flavor of the rainbow trout’s flesh depend on its diet, which ranges from larval and fish eggs to smaller crustaceans. The more red-orange the flesh, the higher the level of astaxanthin (a natural antioxidant). 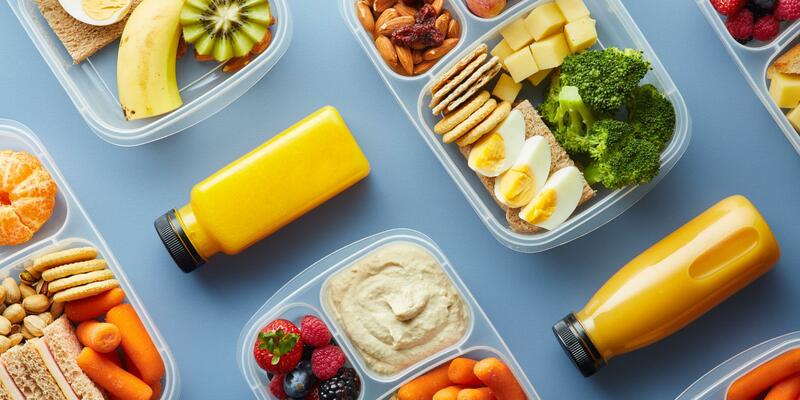 “This pigment is also what gives salmon, shrimp, and lobster its color and is technically a carotenoid,” says Kelly Hogan MS, RD, CDN, and clinical nutrition coordinator at the Dubin Breast Center at Mount Sinai Hospital in New York City. “It has similar anti-inflammatory properties as other antioxidants, and similar eye health benefits as other carotenoids.” It’s also an excellent source of B12, which is an important vitamin when it comes to energy production, brain and nervous system function, and the metabolism of red blood cells, notes Hogan. Known for its meat-like texture when cooked, the world’s largest flatfish dons a translucent, opaque flesh color, and eats anything ranging from octopus to salmon. They spend their time resting on the bottom of the ocean floor, which does not require a large amount of oxygen, thus accounting for their white hue. The low fat content and high protein levels make halibut a great swap for chicken or pork. 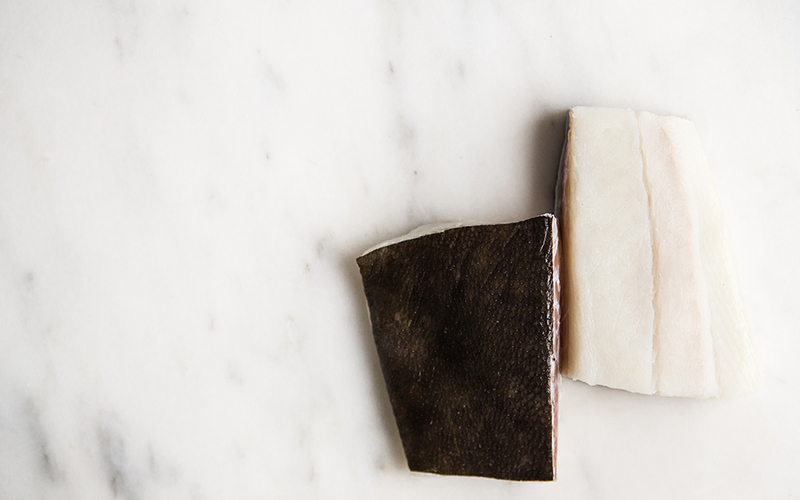 One type of halibut—the chalky halibut—has a bright, white color, and a higher oil and protein content. This “chalky” color is due to a lactic acid buildup as the flesh stops retaining water. This variety is perfectly safe to eat; the texture may vary slightly, but the nutritional value remains the same. 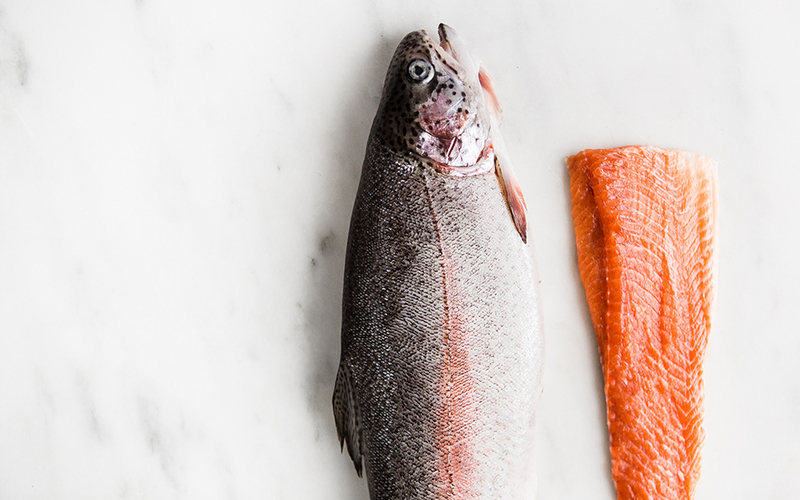 Like the rainbow trout, salmon’s orange flesh is due to carotenoid pigments from eating krill and other shellfish. 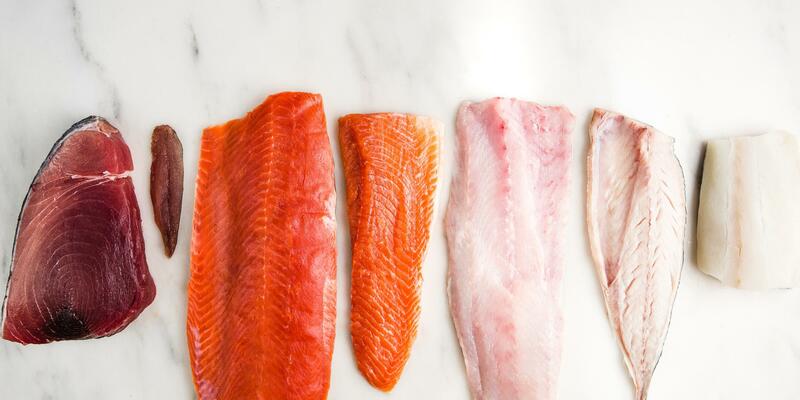 This oily fish offers high amounts of protein, Omega-3s, and vitamin D. Popular varieties include Atlantic, Alaskan, Sockeye, and Coho. 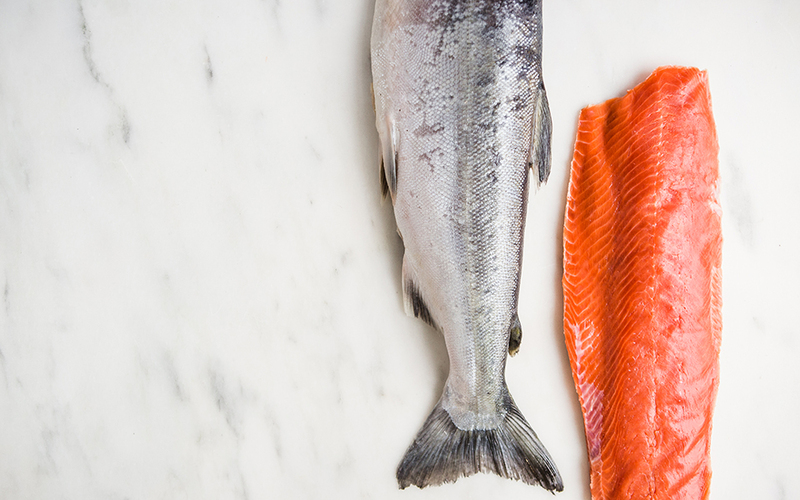 Many salmon are actually farmed—it’s the source for most consumed in the United States and Europe. Though they technically offer an even higher level of Omega-3s than wild, Hogan suggests to still opt for the latter. “Farmed salmon are fed highly processed, high-fat feed and contain more fat overall (think: more saturated fat and more Omega-6 fatty acids). When it comes to environmental friendliness—and, taste, in my opinion—wild Alaskan salmon is the winner,” she says. But don't forget about the canned variety. 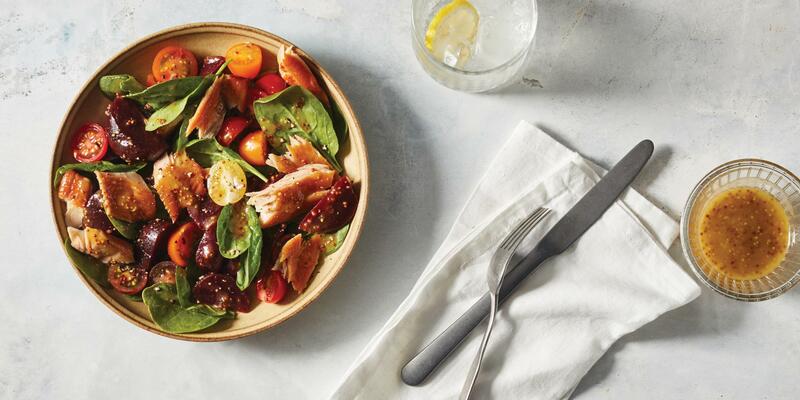 "Canned wild Alaskan salmon is often overlooked, but is still a great source of nutrients and a less expensive option," adds Hogan. 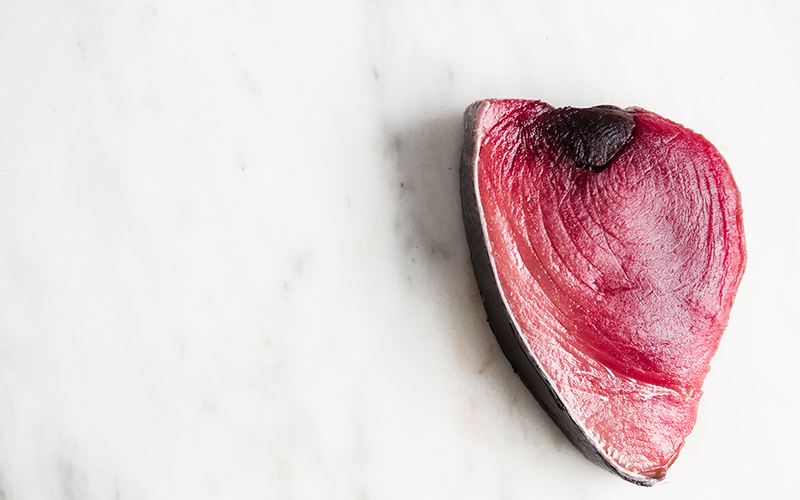 Albacore, Bluefin, or Yellowfin—tuna use an abundant amount of oxygen to swim great lengths and myoglobin, an oxygen-binding molecule, is thus responsible for the crimson flesh color. All types are a great source of Omega-3s and protein. However, be sure to limit your tuna intake to once a week, as the fish contains high levels of mercury. Canned Albacore (or white, or “chunk white”) has the highest amounts of mercury while "chunk light,” has less. If you’re going for raw tuna to make at home, Albacore and Yellowfin tuna have the highest eco-friendly rating. More information on mercury levels can be found on the Environmental Defense Fund website. Native to the Pacific-American coast, this Greenling is, predominantly, a bottom feeder, meaning it's flesh is generally white. However, about 20% of lingcods produce a bile pigment called biliverdin that causes the flesh to turn a blue-green color. How this pigment gets into the fish's tissues and flesh is still unknown to biologists. Once cooked, however, the flesh turns white, leaving the consumer with a delicious meal that has a mild, sweet flavor. It is also a solid source of vitamins B6, B12 and Potassium and the liver is rich in vitamin A. Like tuna, mackerel are powerful swimmers and require a lot of oxygen, which gives them a red-hued flesh color. Out of both fresh and saltwater fish, it has one of the highest concentrations of Omega-3s, which help lower blood pressure and raise good cholesterol. These swimmers are also high in vitamin B12 and low in saturated fats. 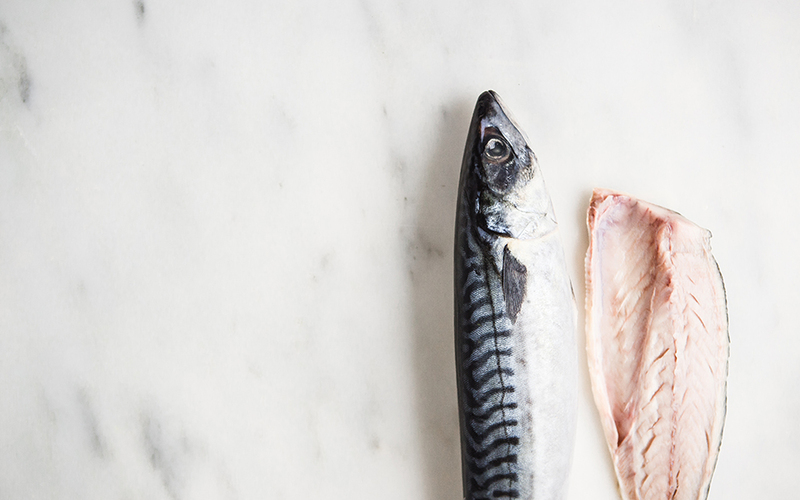 “Some types of Mackerel contain higher amounts of mercury, so I would put this in the tuna category and say that it should be consumed no more than once per week (and either or with tuna, not both),” says Hogan. Feeding exclusively on animal plankton, red-fleshed sardines never stop moving. “Sardines are definitely undervalued," says Hogan, who advises eating them two to three times per week. 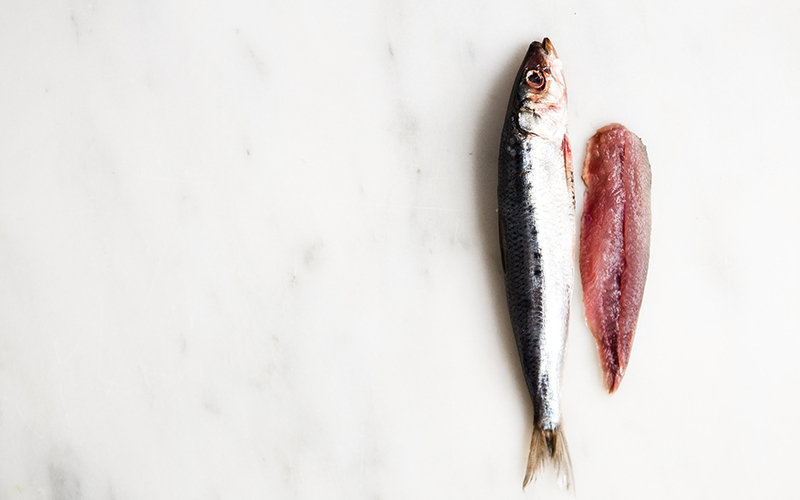 "In addition to being a fantastic source of Omega-3s, the other vitamins that are really important here are calcium and vitamin D—but you have to get sardines with the bones." Sardines are also rich in B2, B12, niacin, phosphorous, potassium, and protein.